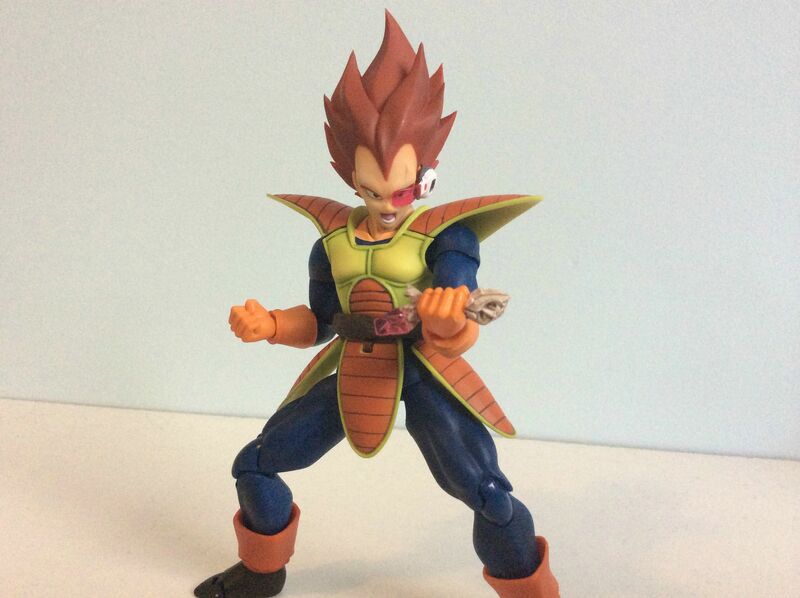 First we have a bunch of SDCC Vegeta pictures. 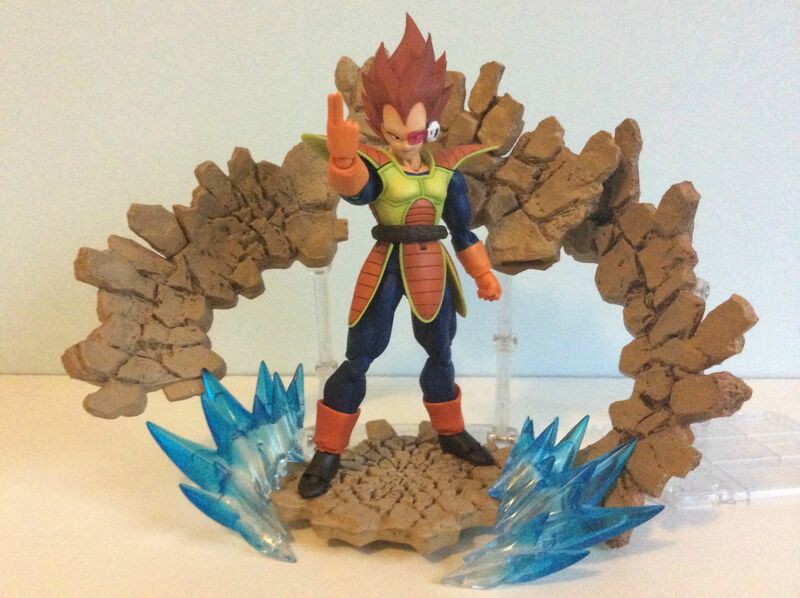 My SDCC Vegeta plus impact effects and auras. 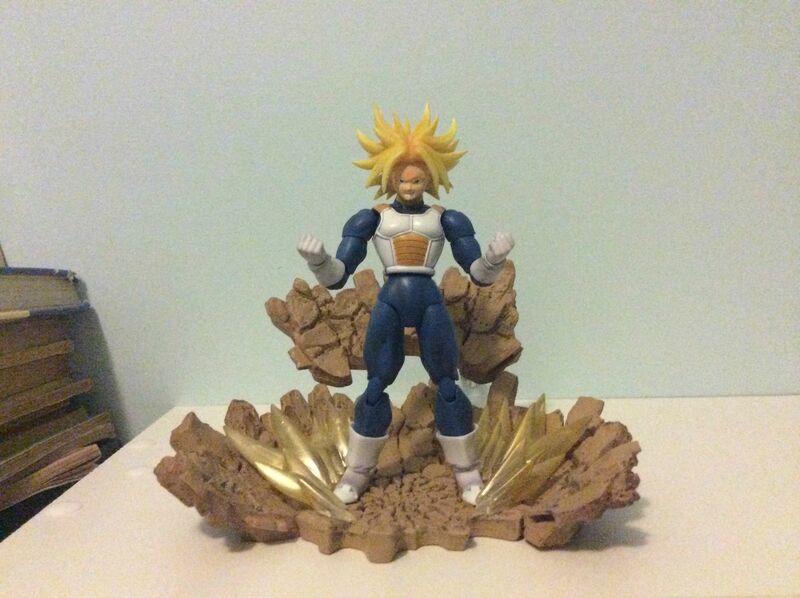 The blue aura blasts are from Obitsu; I have gold ones as well which are used for Super Saiyans. They're pretty cool. 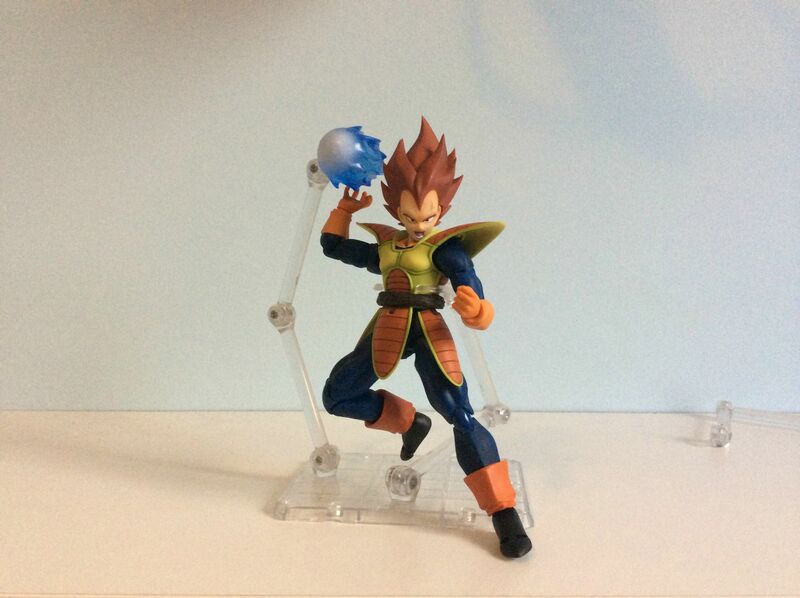 Vegeta here is using a technique more commonly used by Nappa, the Volcano Explosion. 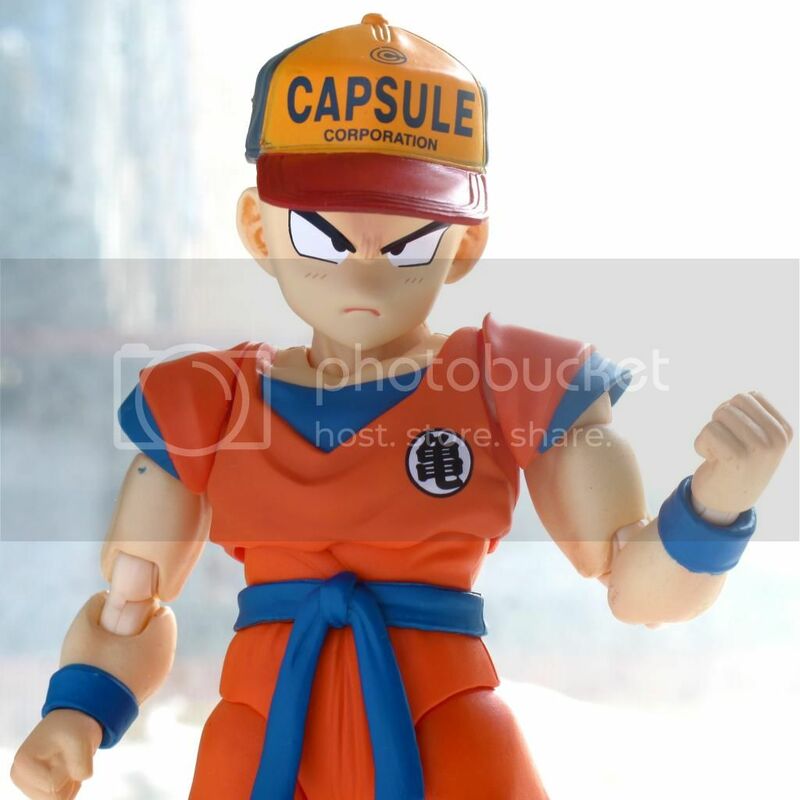 I DON'T NEED THIS EXTRA SCOUTER!! 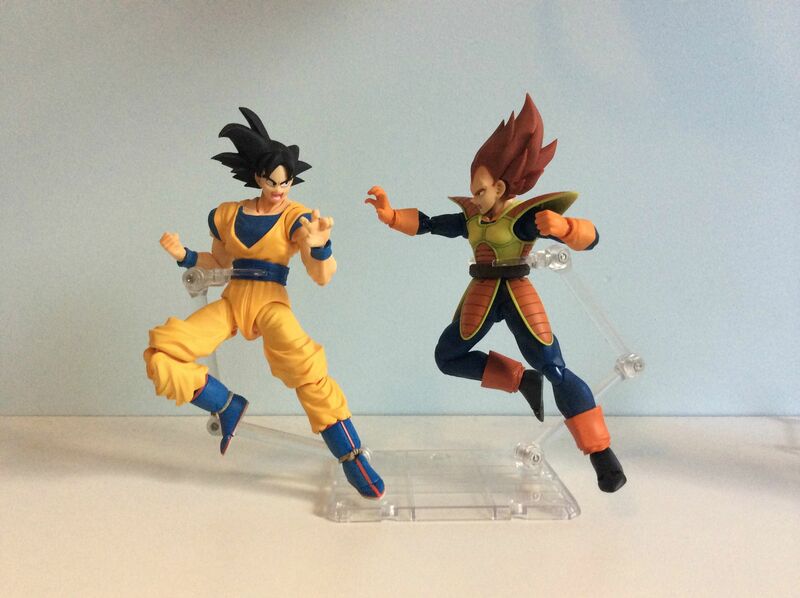 Vegeta would actually win this fight for once because his colours are more different to his normal colours than Goku's are. 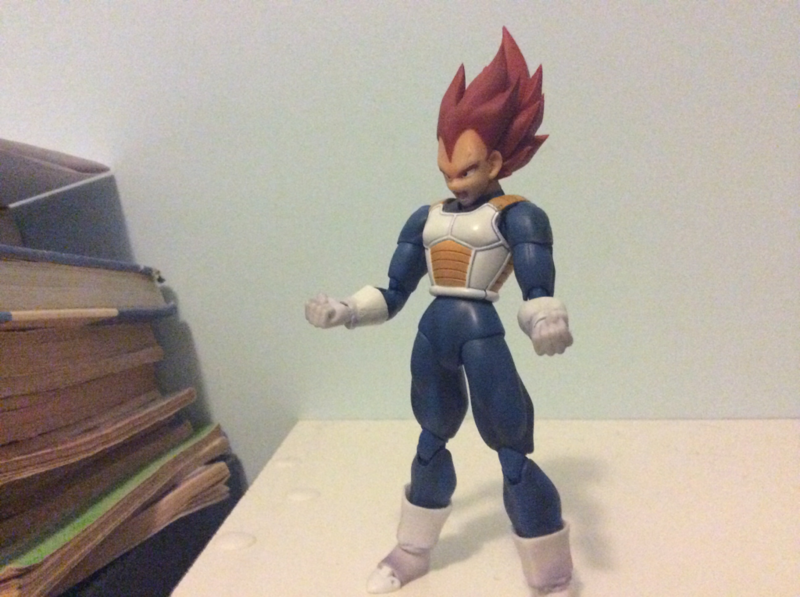 Super Saiyan God Vegeta! 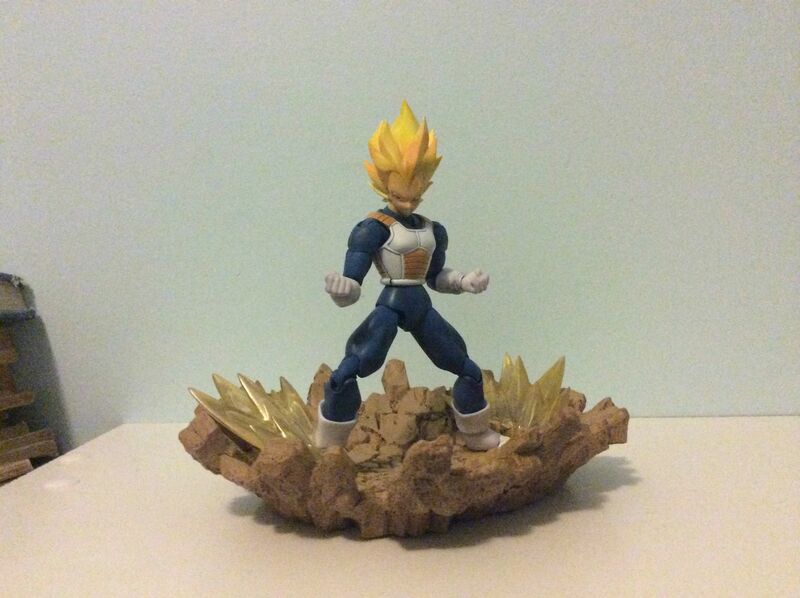 Here is the spare head of my SDCC Vegeta upon the Datong body. Who knows; maybe this will happen in the next movie! 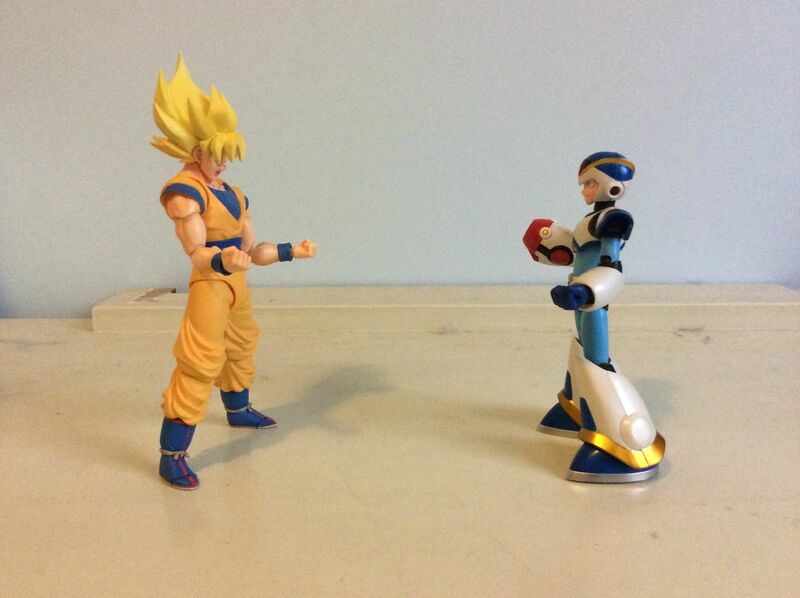 What would happen if Goku and Mega Man X met? 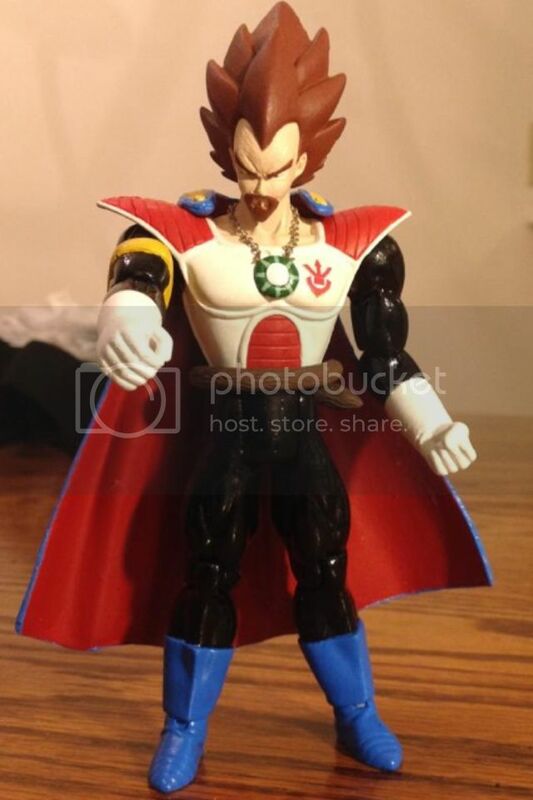 Based off of this from Plan to Eradicate the Saiyans. It just struck me as being the most dynamic pose that ever existed. 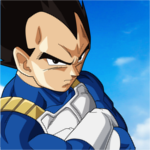 Kickin' the sh;t out of Vegeta. I don't know what this pose is but it's here. 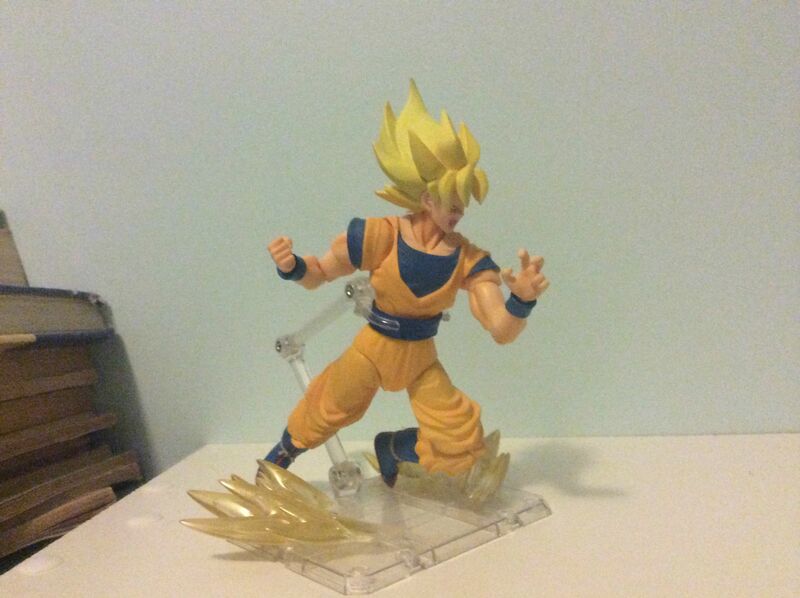 As you can see we have Gold for the Super Saiyans. Goes well with the impact effects. Here's a different set-up for the impact that makes the front more visible. Blue is best used for base form. These are also great for that sense of motion. 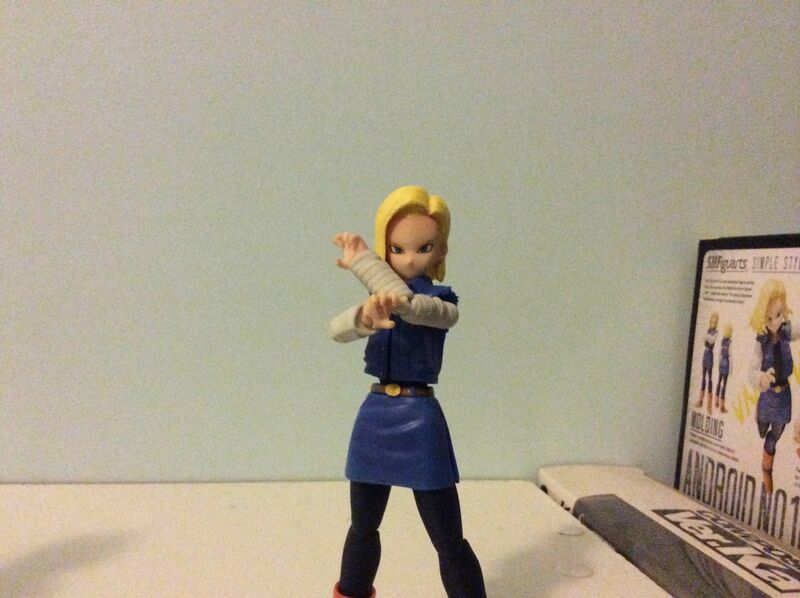 "Hey Trunks. What do you say we give these people a good show?" Trunks a la Bojack. 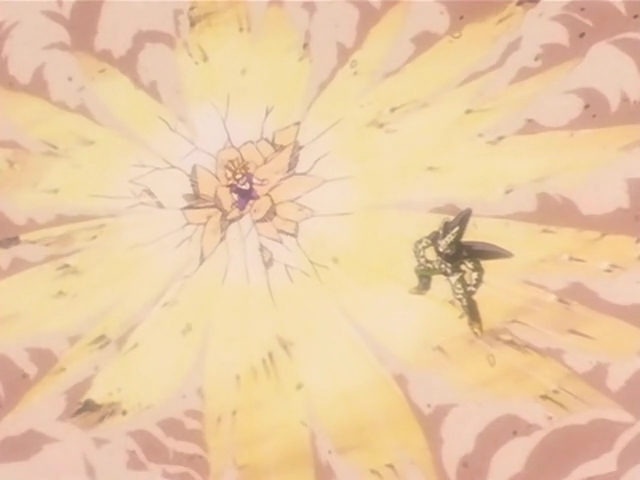 It's a pretty good sign of Tien's power that Trunks has to go Super Saiyan to beat him. 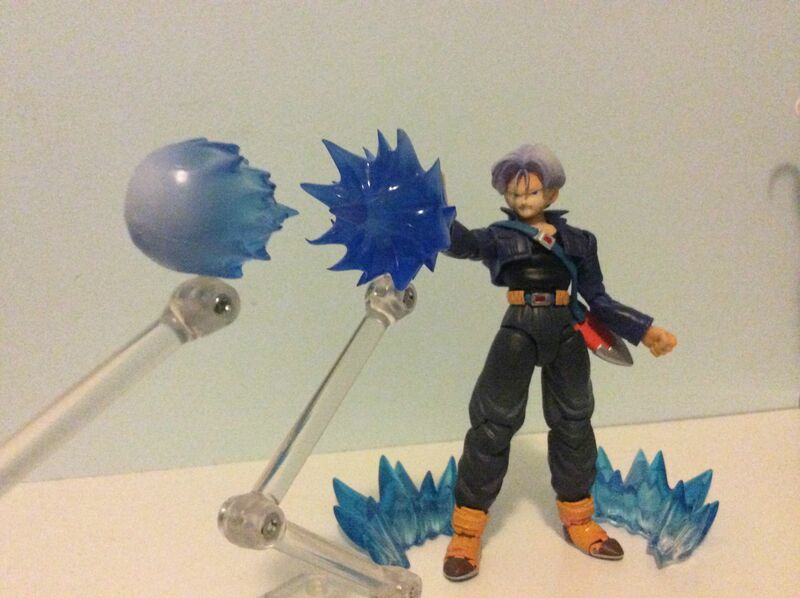 Or maybe it just shows the flaws in Trunks' strategy; he only thinks in terms of power. 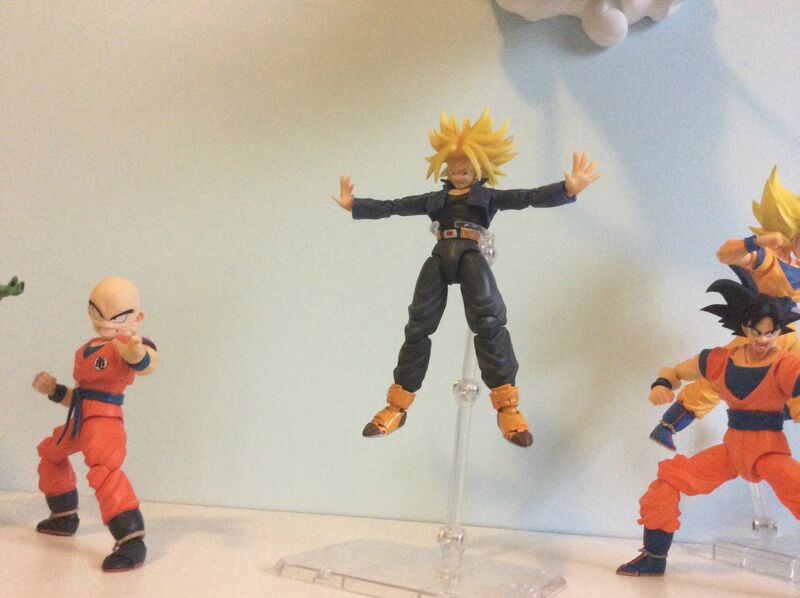 He thought he'd beat Cell with Ultra Super Saiyan's power, but there's more to a battle than strength, as he learned. Perhaps some of that is still in him if he thinks Super Saiyan is the best way to defeat Tien. Mega Man vs Bass. The aura effects are pretty good on the Mega Man figures as well. Finally, here's a definitive display photo showing all that I own. Very nice collection bro. Those effects really make your displays pop! Great collection. Very good of you to keep the boxes as well. I'm one of those types who keeps his figures in the boxes. 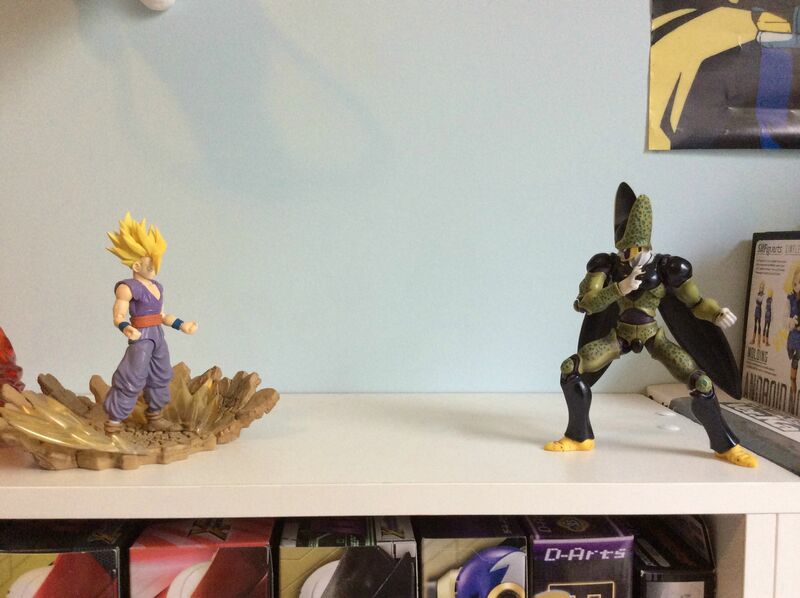 Though some of them, like my Figuarts Zeros, I display outside the box and keep the empty boxes stored safely. 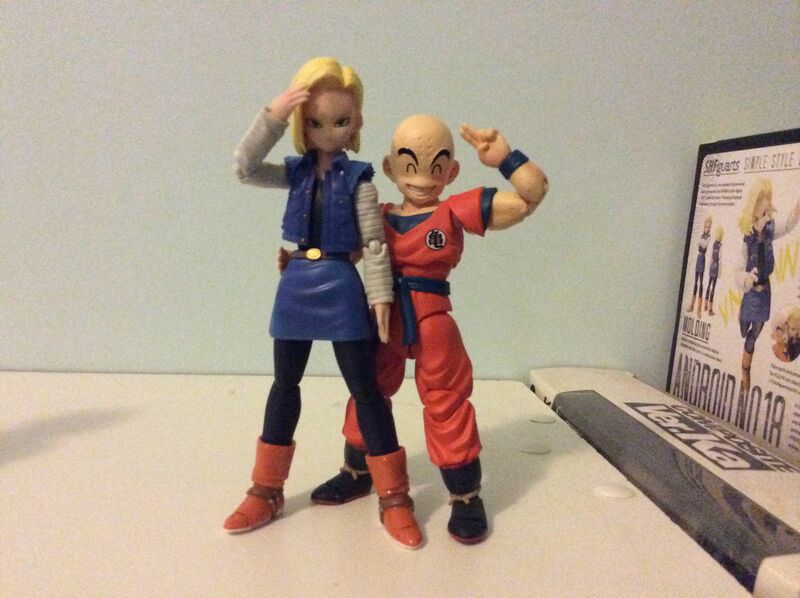 Yeah, I keep the boxes so that wherever I move I can take these figures with me in relative safety. 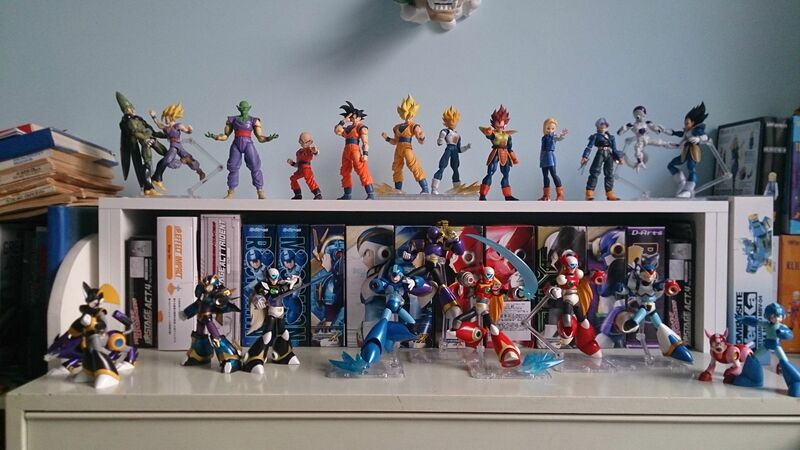 I have too many DBZ figures to buy and not enough Mega Man figures! I dont care about the two alternate versions of Mega Man X, and Zero series Zero doesn't come out until December. 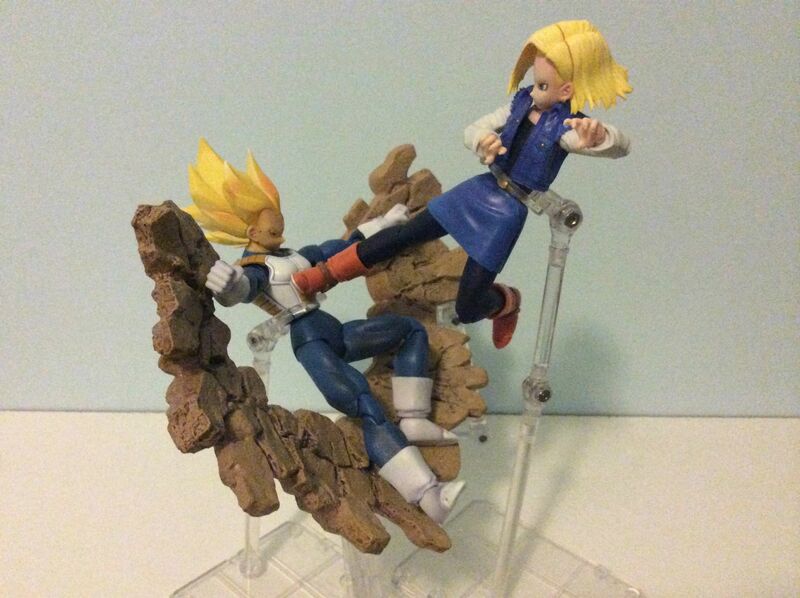 Meanwhile figuarts is throwing No. 17, N. 16, Vegito, and maybe even Broly at me! I ONLY HAVE SO MUCH SPACE AND MONEY! I've been seeing a similar dilemma. I have many Teenage Mutant Ninja Turtles figures and I've been debating liquidating the ones I'm less fond of to make room for the ones I really want to collect. It will be tough to let go of some of them, if I decide to. Awesome collection Wave. 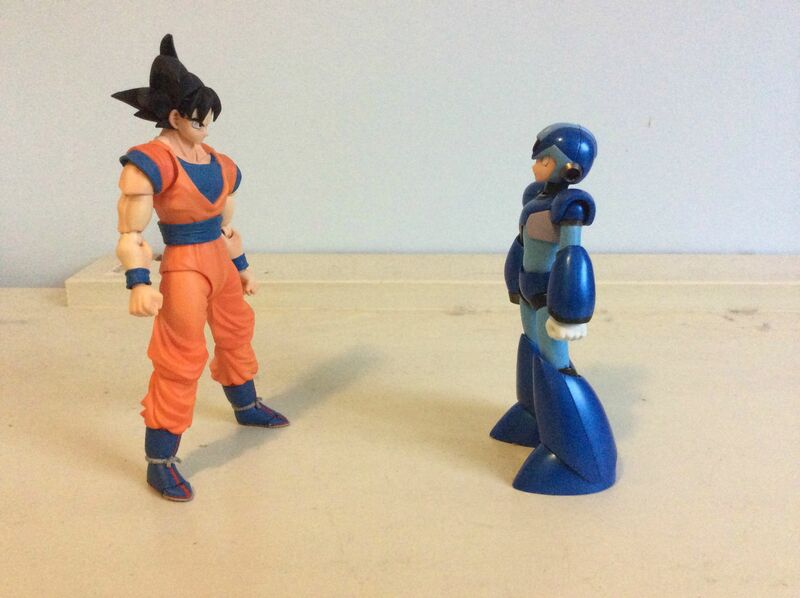 Loving the Mega man figures, do you intend on getting Sigma? 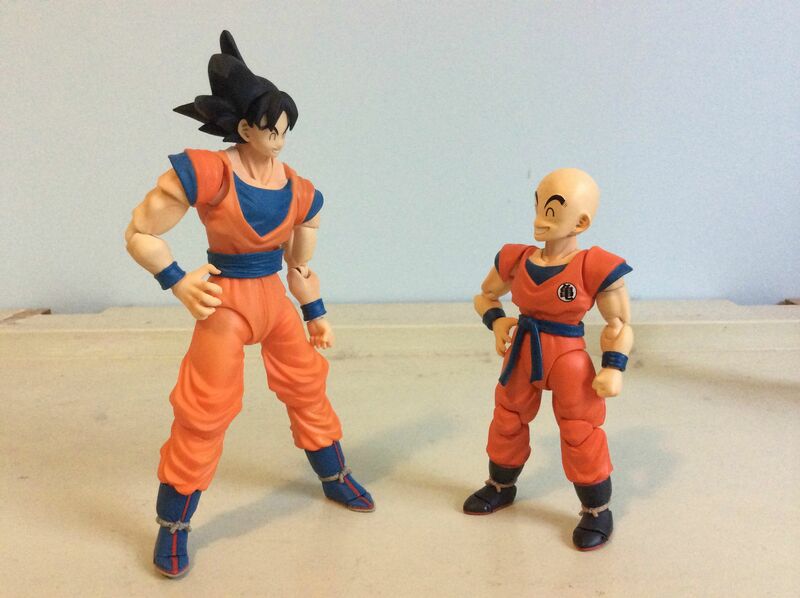 I had a similar problem, so limited myself to the classic range figures. The only issue is it's boring waiting for a relevant release. Where's Protoman?! I got an old Jazwares figure that had a Beat accessory. He looks pretty good with the line. Beat's a little oversized, but he fits pretty well I guess. Sigma? Nah. I just wish he was articulated. I might get him one day if I have tons of money but he won't be part of my main display. The Mega Man figures just have gaps too large in between releases. I have enough versions of X and Zero now, dammit! Give me someone else, like Axl or Gate already! Consider making a trip to Ikea, if you have one around you, they're a furniture store. Their items are rather affordable and have proven a great resource for me finding ways to display my collectibles. Very nice collection, and the posing in the pics is great! Awesome stuff, doug! And I thought I was the only one who collected D Arts Megaman. Sick collection though! I have all the Megaman D Arts except Sigma which I'll get later. 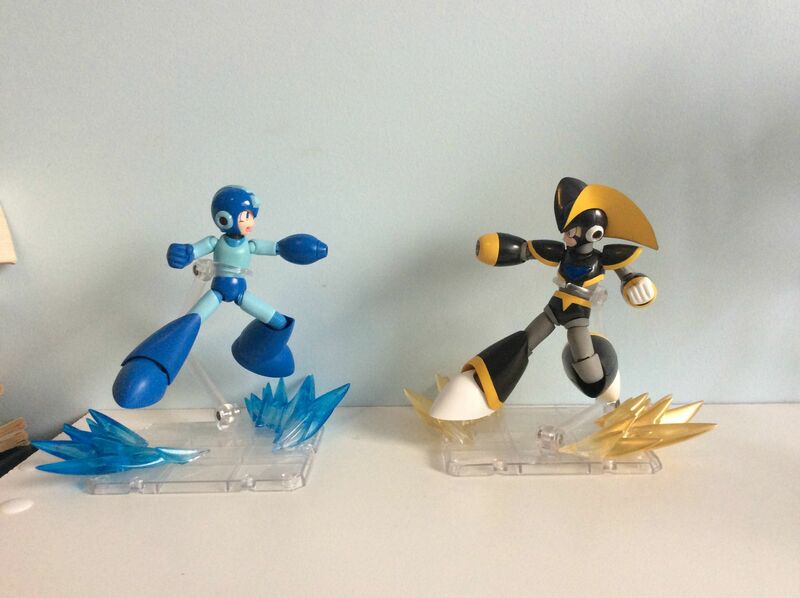 And I wish they released some Megaman figures already it seems like we only get 1 or maybe 2 a year. I'm hoping we get a Protoman and someone else down the line, because it would be a shame if they cancelled the line. Plus there was no Megaman SDCC exclusive this year either. I also collect the D-Arts Megaman figures...I have everything except the SDCC X and Comic Version X. I'm getting a bit worried about the Protoman, I assumed it was bound to be released but the lack of news and the announcement of the new Zero has given me doubts. Loving the pics Wave, we have very similar collections. 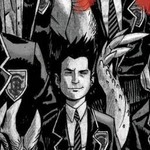 Yeah, I have also ignored the SDCC and Comic versions of X. One is enough for me. I'm on the fence about the Zero-series Zero... I mean I like those games, but I don't think it'll fit in my collection well. They really need to get off their asses and give us some more Mega Man X characters (CHARACTERS! NOT ARMORS!) and a couple more Classic characters. Mega Man and Bass are lonely. 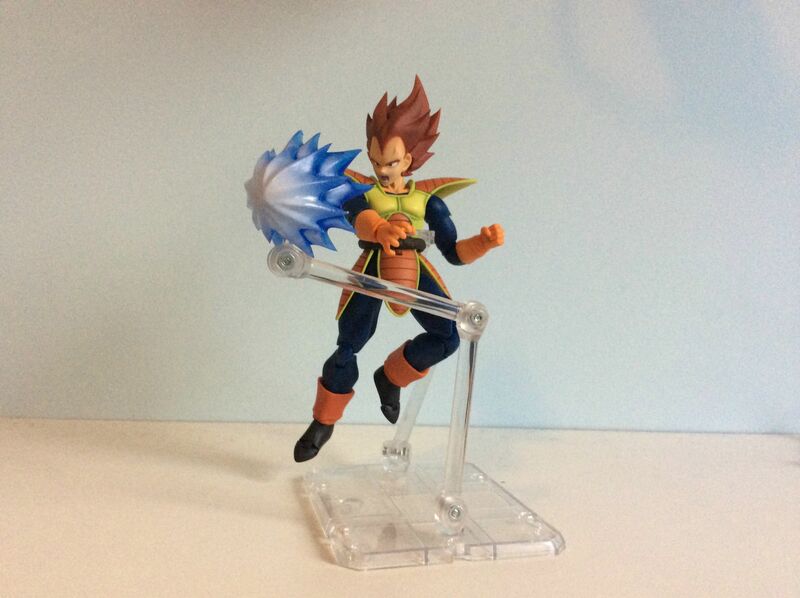 They aren't effects from a different figure, they are just free-standing effects. They came in a little plastic bag designed to go on shelves. The company that makes them is called Obitsu. They make doll parts and stuff like that. Very solid collection. I love the centre of your Megaman display! 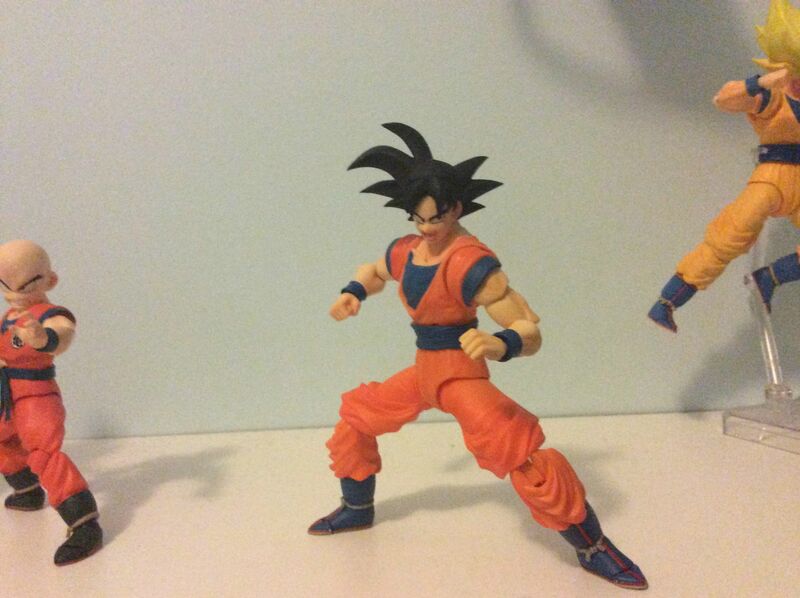 And the SS Goku and Vegeta surrounded by their normal form counterparts is hella cool, too. 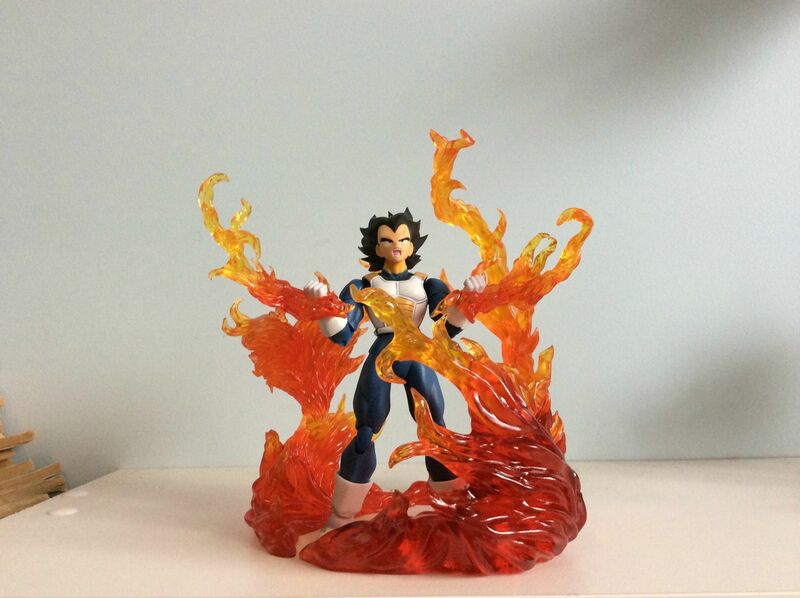 The Volcano Explosion shot of SDCC Vegeta is awesome. And I love the comment on the alternative colours battle photo! More space is the only solution. But not yet. Got a couple of items in. 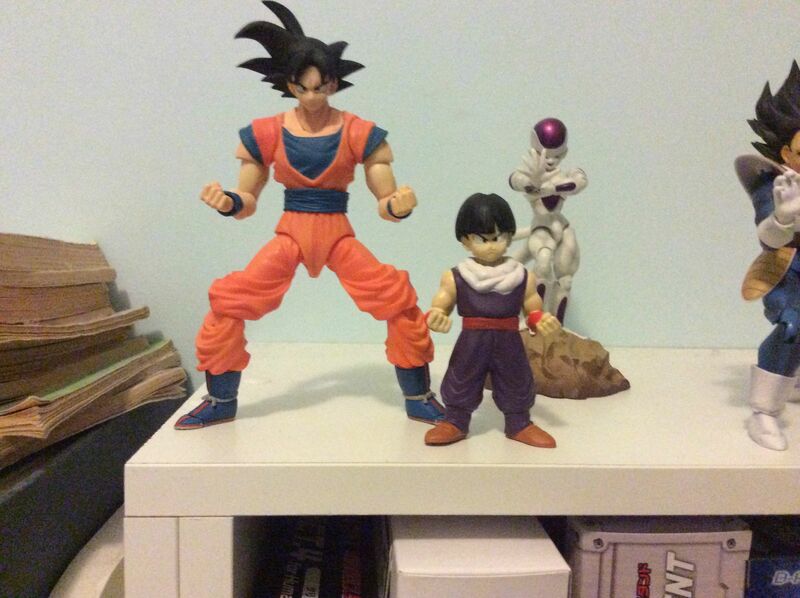 The SofVi Namek Gohan, costing me 6 dollars, with 5 of them being shipping. He fits in as well as I'd hoped. He won't be around for every display, but it's cool to have him. And it was 6 bucks who cares anyway. 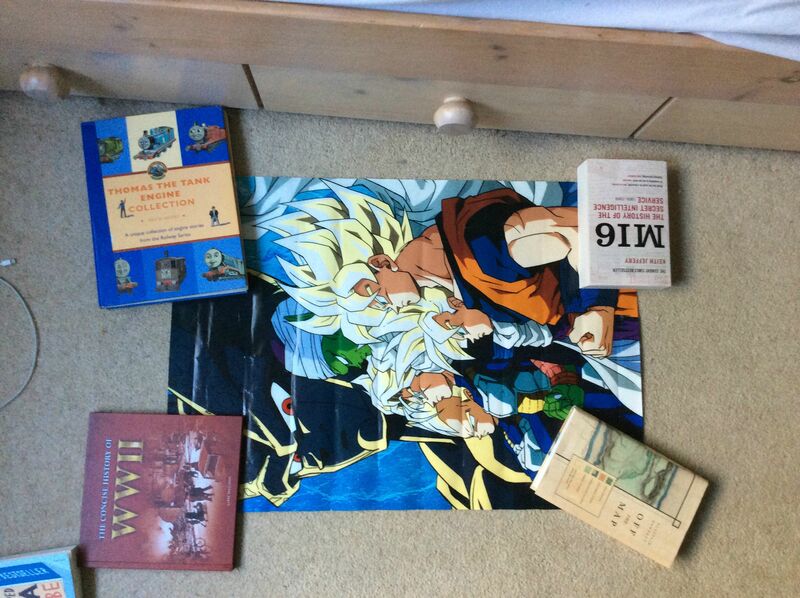 And also the poster I bought with Buyee. 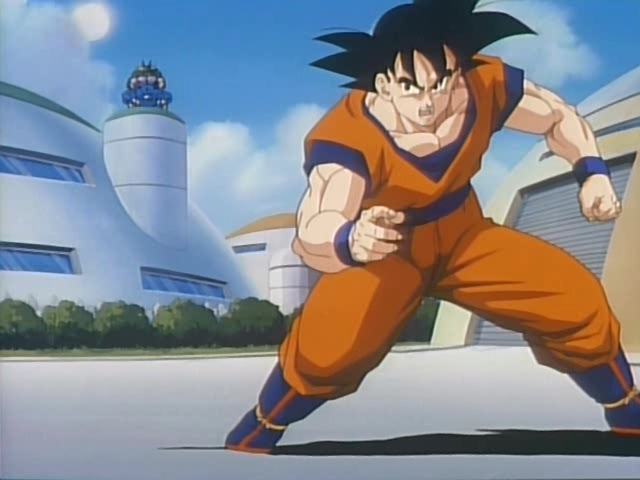 The art is from DBZ Hit Song Collection 13: Battle and Hope, released 1992. It has some good tracks on it; Unmei no hi, (Day of Destiny; Gohan's SSJ2 insert song), Aoi Kaze no Hope (The Blue Wind's Hope, theme of the Trunks special), I'm a Positive Girl! !, and Children of the Dawn are probably the best songs from it. As you can see it's still getting flattened out from being rolled up in a shipping tube. It has a couple of little dings in it but I don't care very much. You can also see a little of my reading taste (please disregard the Thomas collection...). "Insolent child, you shall pay dearly for your disrespect. Still, to honor your Cooper ancestry, I will send you to your doom with the beauty of my new firework technique-- Flame Fu!" 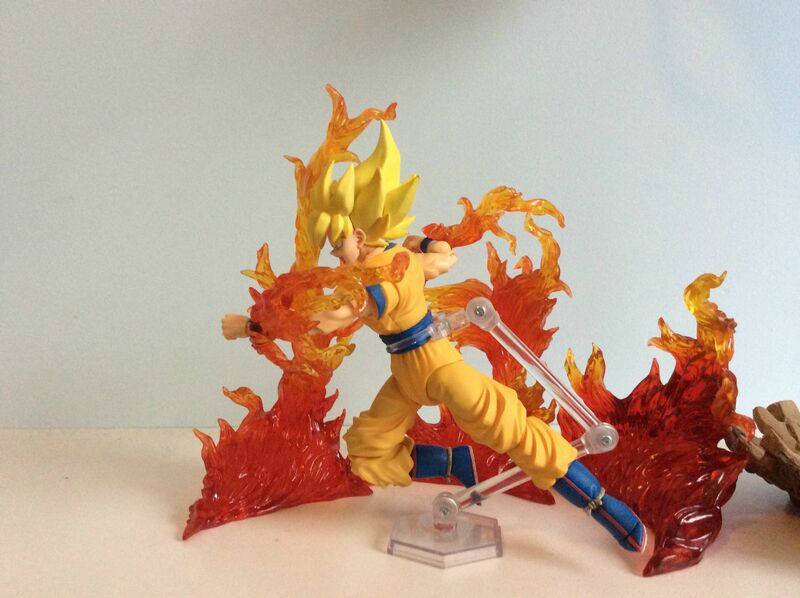 Flame effects have arrived. 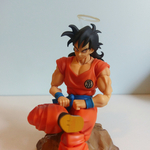 Here on Goku it's kind of a cross between the flames of dying Namek and his Super Saiyan aura. 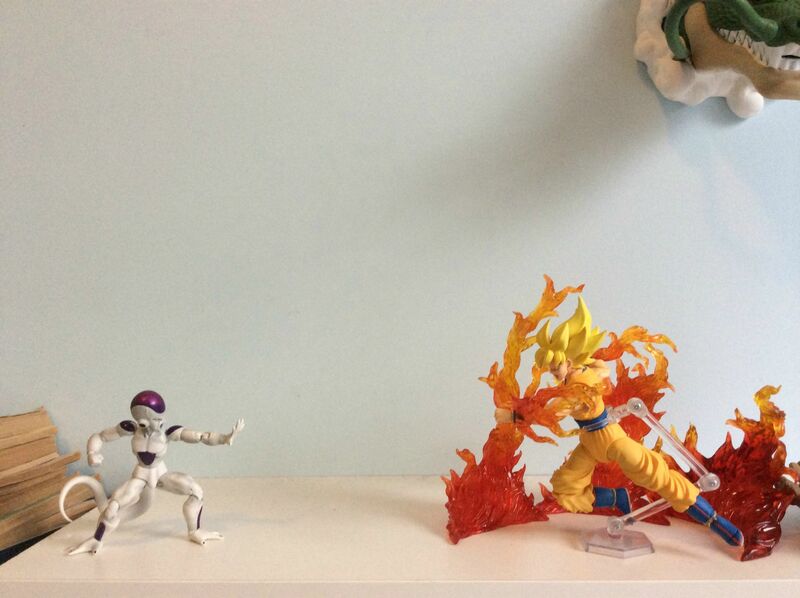 As you can see he is in battle with Frieza. Final display. 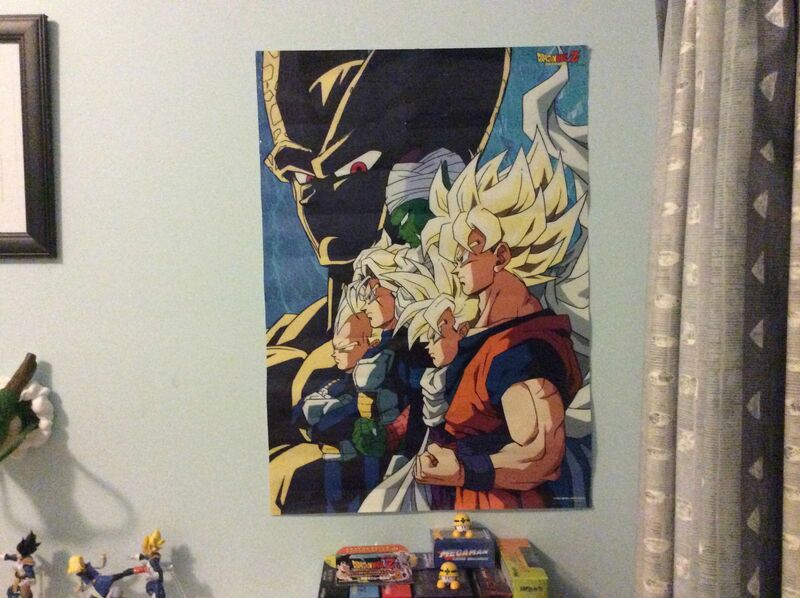 SofVi Gohan is still hanging out there. 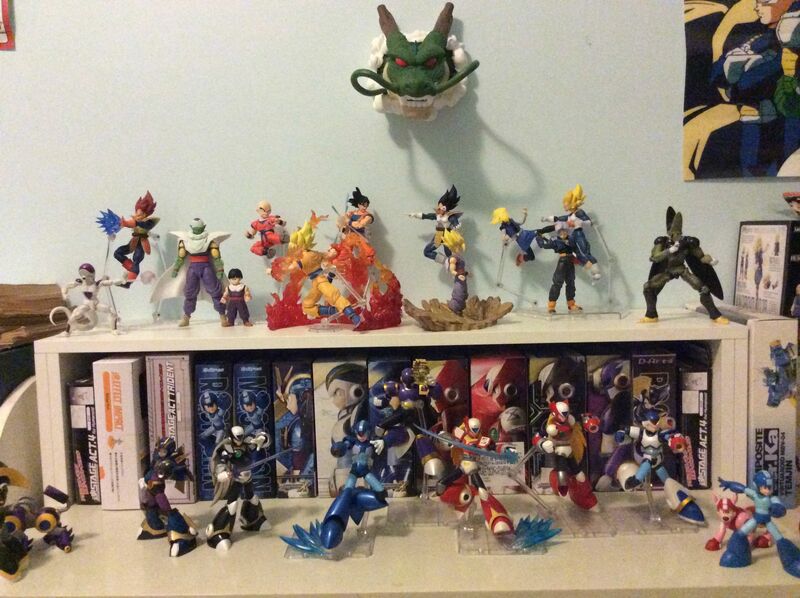 My Mega Man display has not changed in a long time, though that is because it is practically perfect.